When authorities in Alaska receive a disturbing call from a teenage girl, their investigation leads them to discover an entire family of researchers dead. Joe Rush is called to help examine the bodies. On the surface, it looks like a brutal murder/suicide. But the situation is nowhere near that simplenor is it over. Upon closer investigation, Rush discovers the terrifying truth. The research team was infected with the deadliest disease on the face of the Eartha nightmarish infection that is 100% fatal. Normally, the disease is not contagious, and easily contained in military experiments. But then how did the entire family come to carry the disease. Has it evolved and become airborne? Was it manipulated in a lab? Unfortunately, he’s not the only one with knowledge of the looming disaster. 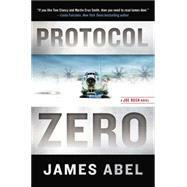 The army has cordoned off part of Alaska, and Rush soon finds himself the target of trained killers. Someone suspects Rush of betraying his country and releasing the plague himself. To save countless millions of livesstarting with his ownRush must uncover the answers hidden in the Arctic. The question iswill he find them in time?